Thank goodness for a 4 day week coming back from Spring Break...we had a field trip today! Much like the muffin tin game, we used the buckets to score points as a team. The best was when the ping pong ball went in the 3 point bucket, bounced out, hit the rim of the 4 point bucket and went into the 5 point bucket! That student was the rock star for the day! Field Trip Friday! Toured the caverns then a bit of mining! Mining for gems! Lots of comments about selling their finds on e-bay! Seriously?!!! 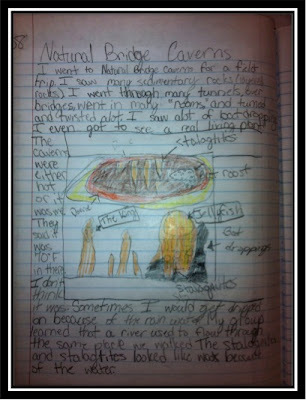 Science journal write-up for Natural Bridge Caverns. 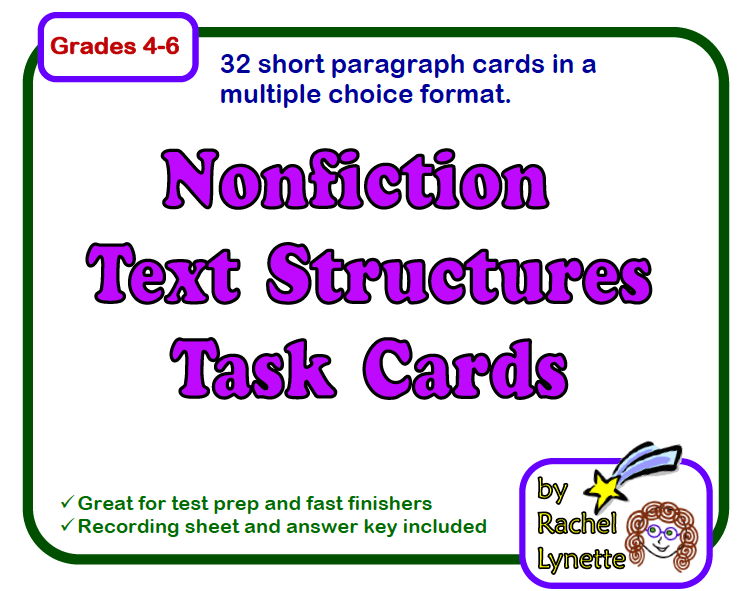 We have had a big push on nonfiction. My students had to write about their experience and create a diagram. 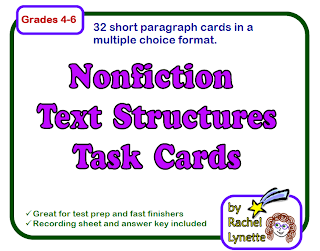 A game of scoot with the nonfiction task cards! My students loved it! Last one...really it was last week, but I totally missed the Five for Friday due to all the wedding festivities. My dear friend (who happens to live in Chicago) got married here in San Antonio! Two days of total fun! 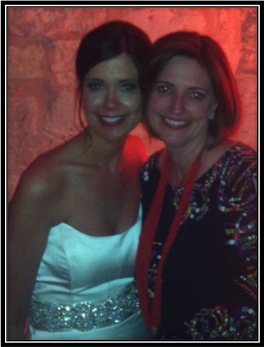 She was a stunning bride! Under her fabulous dress where some rockin' cowgirl boots! Now, head on over to Doodle Bugs Teaching to check out everyone else. That field trip looks like so much fun! Isn't it funny how kids these days would rather get money for something online than keep it for the memory! Things were so different when I was in fifth grade! I teach fifth grade, too! 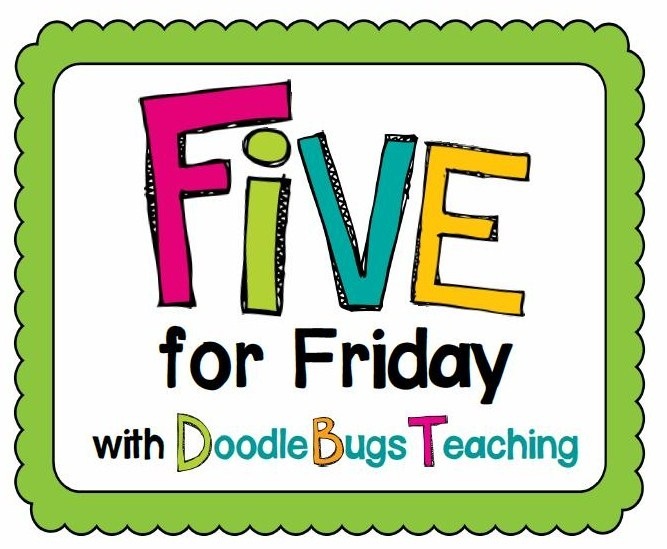 Just found your blog through the Five for Friday linky :) New follower! Ohh fun! 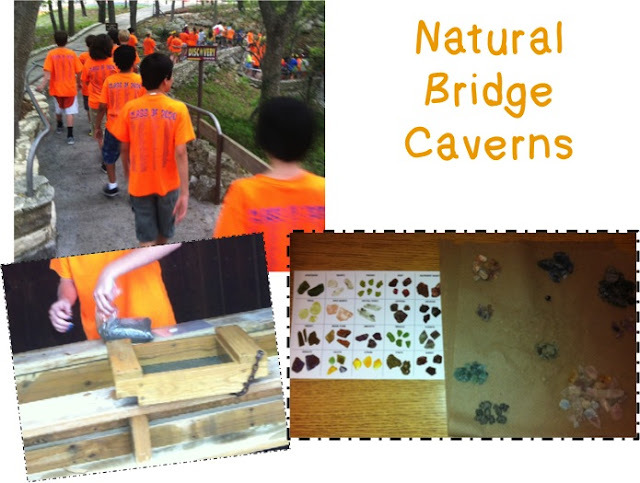 Natural Bridge Caverns is an awesome site to see. You can get some really great pictures and some great science about the caves. There is one fern that is growing in the cave! It would be a great pic to talk about inferring. Just wanted to let you know some BUNNY loves your blog!! I love your ideas - thanks for sharing! I just shared your blog in Christina Bainbridge's Some Bunny Loves your blog linky!! Ohh, my gosh! Thank you!! !